The Common Global Implementation - Market Practice (CGI-MP) initiative provides a forum for financial institutions (banks and bank associations) and non-financial institutions (corporates, corporate associations, vendors and market infrastructures) to progress various corporate-to-bank implementation topics on the use of ISO 20022 messages and other related activities, in the payments domain. 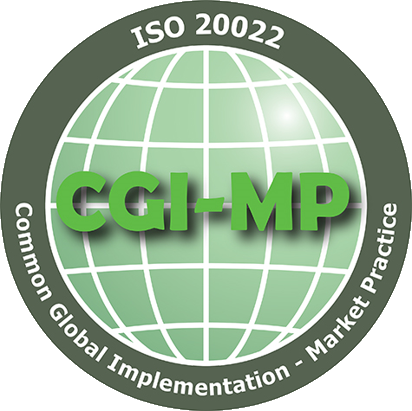 The goal of CGI-MP is to simplify implementation for corporate users and, thereby, to promote wider acceptance of ISO 20022 as the common XML standard used between corporates and banks. The mission of the CGI-MP group will be achieved through consultation, collaboration and agreement on common implementation templates for relevant ISO 20022 financial messages, leading to their subsequent publication and promotion in order to attain widespread recognition and adoption. XMLdation offers CGI-MP Credit Transfer and Direct Debit Validation.